All crypto world has finally seen Bitcoin’s (BTC) breaking $4,000 resistance. Bitcoin’s (BTC) long-awaited breach above the formerly elusive $4,000 price position was actually expected to give a major boost to the remaining digital currency market. However, it resulted in only a few, sporadic bullish runs in the spectrum. Cryptos like XRP and TRON (TRX) endured setbacks. They remained under the weight of the bearish season. 2019 has not started with a not-so-bad note as the master is slowly taking off. But the ETF approval is taking longer than expected, which is making the cryptizens restless. The Chicago Board Options Exchange also halted the listing of Bitcoin Futures. Bitcoin has touched the $4000 mark for the first time in over a month. Even Tim Draper, a famous Bitcoin enthusiast and billionaire stated that in 2 years, Bitcoin would be everywhere and fiat currencies would become archaic. He even said by 2021, everyone would buy their coffee by making their payments in Bitcoins. Another big name got attached to the Bitcoin frenzy when Elon Musk, the founder of Tesla and SpaceX called Bitcoin “brilliant” in public and even said BTC is better than paper money as it can transfer value. Even NASDAQ, the second largest stock exchange in the world has also vowed to launch Bitcoin futures in the first half of 2019. It is going to start on a good note as the digital assets platform, Bakkt is going to get introduced in the later part of the year. Bakkt has already raised $182.5 million and is supported by 12 partners including Pantera Capital, Boston Consulting Group, Galaxy Digital and many more. The owners of Galaxy Digital, the Winklevoss brothers recently stated in the Aske Me Anything(AMA) session that Bitcoin is the most likely winner in the long term. Very recently, some analysts from JP Morgan has predicted that Bitcoin might fall as low as $1,260 and banking or financial institutions might not benefit from blockchain for 3 to 5 years as the true value of cryptos is not proved according to them. Even South Korean R&D firm and Bitfury group have announced that it would launch Bitcoin mining centers in Paraguay, which is a part of Common Foundation’s project also known as Grey Goose. One of Bloomberg’s column stated that there is a probability that FUD (Fear, Uncertainty, and Doubt) might loom over crypto space in 2019, where Barry Ritholtz called the prediction by experts wrong and absurd. Inspite of that also, analysts and enthusiasts kept their hopes high. Mike Novogratz said explicitly that he believes there is going to be big adaption in 2019, 2020 as he thinks there will be more participation from people in the blockchain space. Now that the state government of Ohio has announced that it is going to accept tax payments in BTC wherein the government has partnered with Bitpay to make this happen conveniently so that the bitcoins can be converted into dollars on behalf of the tax office. This is just a glimpse of the adoption rate going higher and higher. BlockTower Capital, the main force in the crypto realm made a bet on Bitcoin a year ago recently made a bullish statement on Bitcoin’s price. Michael Bucella, a partner at BlockTower mentioned that the recent dry spell running in crypto space and volatility might be the current scenario that’s pulling it down but the distress cycle might come to an end very soon as the institutional players have expressed their ardent interest in purchasing cryptocurrencies. Bitcoin is the most popular cryptocurrency, dominating the crypto space with its blockchain technology and its scarcity. Bitcoin was created in 2009 by the pseudonym Satoshi Nakamoto, who might be an individual or a group of people. It works on a peer to peer network, where no intermediaries are involved. It is the digital currency, which aims to exclude intervention of any third parties, while you are transacting. It is gaining adoption and some people have started using BTCs in real time, like buying a Lamborghini or buying a mansion. It’s easy as well as advanced. Once you understand the technology behind it, you will definitely embrace the beauty of this digital currency. Bitcoin prices are fluctuating. It is trading at $3983.70 from its all-time of $20000. The ever-fluctuating Bitcoin made many involved in the price forecast of Bitcoin. As the market is experiencing volatile conditions, we should back up the prediction with the market experts, who have been the mind and heart of the cryptocurrency market. In a recent interview hosted by Bloomberg’s Emily Chang, Sonny Singh, the chief commercial officer at Bitpay commented on Bitcoin’s future and why it is okay not to panic looking at the current market condition. Singh, who seems to be a Bitcoin maximalist, called Bitcoin an “800-pound gorilla, as it has access to the most notable “network effect” of all decentralized networks. He is assertive of the fact that there is a high possibility that BTC might reach $15,000- $20,000 by Thanksgiving, 2019, explaining that the probability of a crypto ETF and an influx of funding for startups is high on the cards. Tom Lee, ex-Chief Equity Strategist JP Morgan, and Co-founder and head of research of Fundstrat, believes that the break-even cost of mining 1 BTC directly correlates with the price of the cryptocurrency. He believes BTC would grow as he is counting on more institutional investors taking on Bitcoin and a steady increase in Bitcoin user base.Mr. Lee justified the current fall in the price of bitcoin by referring to the recent plunge in the price of tech stocks, like Amazon, Apple, and Facebook. He is optimistic that increased institutional fortunes would help turn BTC’s future around very soon. Sam Doctor, an analyst from Fundsrat along with Lee predicted that by 2019, BTC might reach nothing less than $36,000, with the probability of $64,000 at the maximum and $20,000 at its lowest. A couple of days back, Tom Lee stated that the BTC fair value is much higher than the current price. The current fair value is somewhere between $13,800 and $14,800 which he believes might increase and reach $150,000 per coin as soon as bitcoin wallets account for seven percent of 4.5 billion Visa’s holders. Ronnie Moas, a cryptocurrency analyst predicted that BTC might reach $28,000 by 2019. He believes the demand for BTC would increase with its decreasing supply. He made it somewhat clear that by 2019, the adoption rate would increase and hence people would demand more of it. We must remember that BTC is not unlimited in supply. Fran Strajnar comes up with a very optimistic prediction where he believes that BTC might reach $200,000 by January 2020. He believes that the rate of adoption is directly proportional to the price increase. The more the adoption rate, the more the increase in value. Bobby Lee, CEO of China’s first exchange- BTCC said before that it would take 20b years for BTC to reach $1 million. Now his prediction totally changed. Bobby Lee, the co-founder of BTCC(Hong Kong-based Bitcoin exchange) and the brother of Charlie Lee, Litecoin creator gave an extremely bullish prediction but started with bearish though. He claims Bitcoin might reach its all-time low in January 2019, reaching below $2500 and that Bitcoin might pick up from late 2020 and could reach $333,000 in 2021 and then fall down to $41,000 in 2023. He iterated that the market capital might reach $7 trillion, that might surpass the market cap of gold. In a recent tweet, Anthony Pompliano, founder of Morgan Creek said that Bitcoin isn’t going anywhere. He stated that BTC might go as low as $3000, after which it will continue being bullish starting from 2019. He enunciated that there is no reason to freak out on the declining price as Bitcoin’s fundamentals are becoming stronger. Arthur Hayes, the CEO of crypto derivatives exchange BitMex, on the other hand, have come with a very pessimistic bearish prediction. He changed his earlier prediction statement based on the sudden change in the market. Previously he had stated that BTC has the possibility of reaching $50K by the end of this year, but now he says that BTC will reach as low as $3K and will continue being bearish for the entire 2019. Vinny Lingham, the CEO of a crypto startup called Civic stated that Bitcoin will get worse before it takes a run for the better. He mentioned that BTC might fall under $3000 before it picks up steadily. Even though Bitcoin has been experiencing frequent fluctuations, we believe that Bitcoin will soar up as per the predictions stated above. There are several reasons which led to Bitcoin’s price fall like Bitcoins being used for illicit purposes and so many past mishaps like hacking and thefts. Pros outperformed the cons, hence Bitcoin is still the market leader, bagging the number one position and maintaining its position. Bitcoin might reach the $23,500 mark supposedly by the end of 2019 as the year holds good prospect and development for BTC like NASDAQ launching BTC future, that too in the very beginning of 2019. 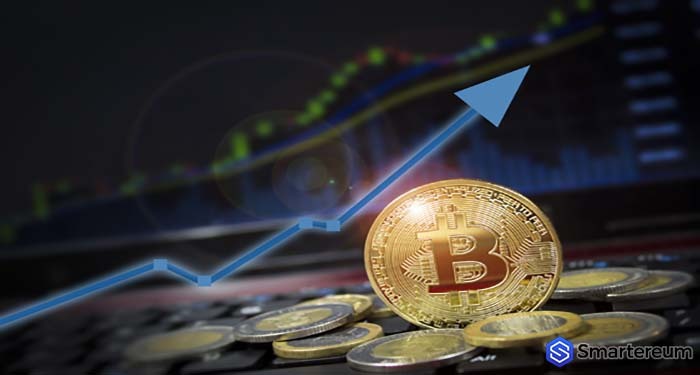 Bitcoin Price Prediction 2019: Will Bitcoin Go Up? 2019 will be bullish for Bitcoin, as by then the adaptability will be higher as more people will start believing in the technology behind Bitcoin. Bitcoin will reach up to $20,000 by the mid of 2019. The more the trading, the more the price. Moreover, as we know, Bitcoins are scarce in circulation, i.e. there can be only 21 million Bitcoins mined, out of which 17 million has been mined already, which means only 4 million to be >mined, which will make its value more. Additionally, several countries like the U.S., Japan, and South Korea have shown extreme willingness to integrate Bitcoin and other cryptocurrencies into their financial systems by setting up regulated markets which might function freely and securely. By the end of the year 2019, the Bitcoin price will reach $23,499, which means that the 2018 bearish trend ends and shifts to the bullish trend. 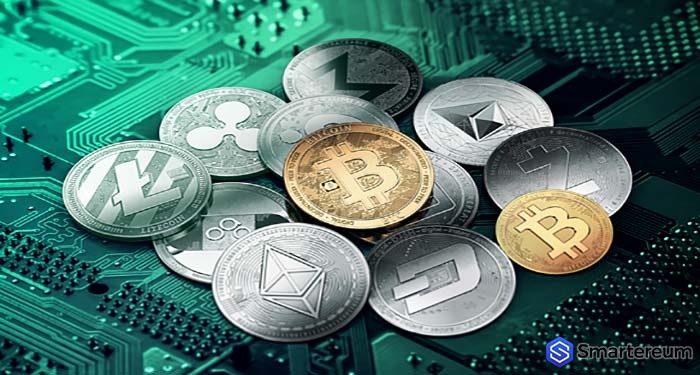 The cryptocurrency market will experience a market optimism in 2020, as not only Bitcoin, but all the major cryptocurrencies will also experience an upward shift. The governments and the central banks will embrace the digital currencies, hence the demand should be more. The first quarter will see a minor surge up to $25,000, after which it will jump up to 30,000 dollars in the third quarter. By the end of the year, Bitcoin will be valued at $33788.5. Bitcoin price prediction suggests that the Bitcoin price is up for a long-term 678.833382% in the BTC price value with a 5-year investment. This means that in 2023, the Bitcoin price is forecasted to stand at $ 50044.6. Bitcoin will touch the $50k mark in the year 2023, which will take the crypto market to a whole different height altogether. As per the predictions and analysis, Bitcoin stays securely to number one position, without any close contender. Gradually, Bitcoin will be seen more as a store of value, along with it being an alternative currency.